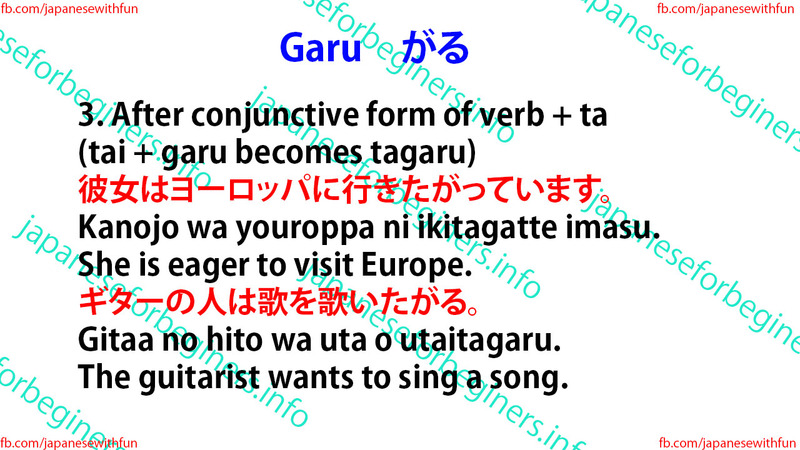 Garu usually takes a 3rd person subject in the progressive form when the subject is specific. 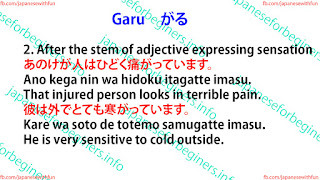 Kare wa motto ii kuruma o hoshigatte imasu. He wants a better car. 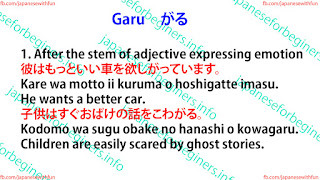 Kodomo wa sugu obake no hanashi o kowagaru. 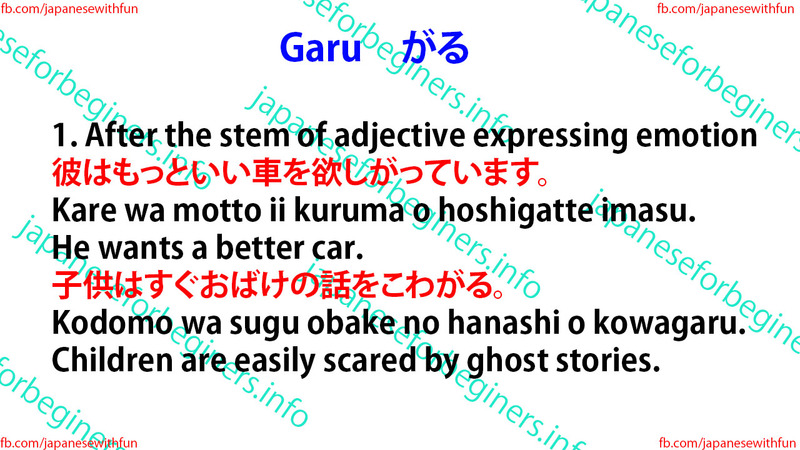 Children are easily scared by ghost stories. 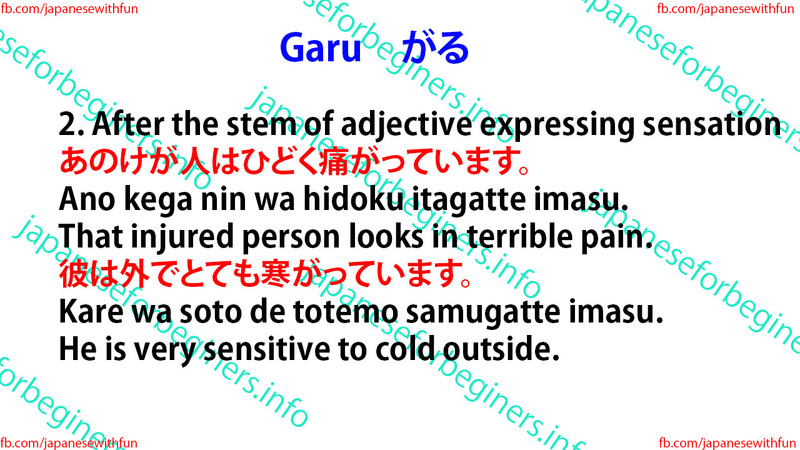 Ano kega nin wa hidoku itagatte imasu. That injured person looks in terrible pain. Kare wa soto de totemo samugatte imasu. He is very sensitive to cold outside. Kanojo wa youroppa ni ikitagatte imasu. She is eager to visit Europe. 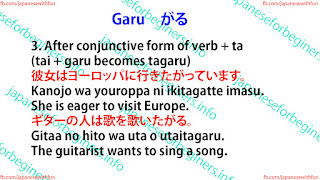 Gitaa no hito wa uta o utaitagaru. The guitarist wants to sing a song.